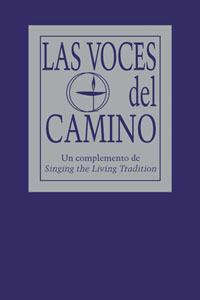 Las voces del camino presents 75 songs in Spanish, including songs from Singing the Living Tradition plus fresh selections from Spanish-speaking cultures the world over. Las voces del camino presents 75 songs in Spanish, including songs from Singing the Living Tradition plus fresh selections from Spanish-speaking cultures the world over. Perfect for churches with Spanish-speaking congregants and others seeking multicultural programming. For songs that are not in Singing the Living Tradition, a synopsis of the lyrics is provided.